Bhubaneswar: The Lakayukta Selection Committee will meet today to select a worthy Lokayukta for the State as per the Lokayukta Bill, according to reports. Chief Minister Naveen Patnaik, Orissa High Court Chief Justice KS Jhaveril, Leader of Opposition in the State Asssembly Narasingha Mishra and Assembly Speaker Pradip Kumar Amat are the members of the committee. They all will attend the meeting, according to reports. It may be noted Chief Secretary AP Padhi had on February 11 apprised the Supreme Court in person that a Lokayukta would be appointed by March 31 and he/she would start working from April 8. Though five years have passed since the Lokayukta Bill was okayed by the President, the Odisha Government has not yet appointed a Lokayukta. A complaint in this regard had been lodged at the Supreme Court. Accordingly, the apex court directed the Odisha Government to appoint a Lokayukta at the earliest. 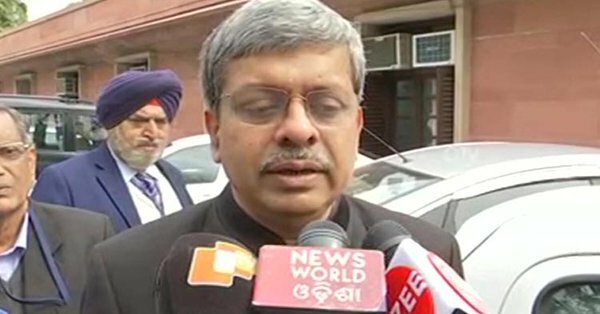 Seeing the Government’s dillydallying attitude, the SC had directed the Chief Secretary to remain present in person and appraise the Government stand on appointment of a Lokayukta.